Rivers State Governor, Nyesom Ezenwo Wike on Friday formally dedicated his victory at the Supreme Court to the ordinary people of the state during a “meet the people people victory parade” across the major residential areas of Port Harcourt and Obio/Akpor Local Government Areas. Greeted by several thousands of residents which included women, youths, children and men, Governor Wike said that the Supreme Court judgment was made possible by votes of the people on April 11 and 12, 2015 and their prayers while the litigation lasted in different courts. 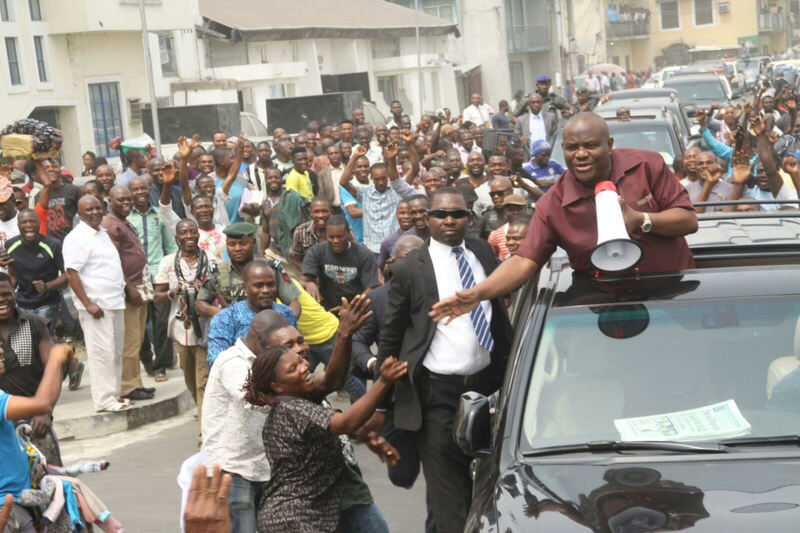 The “meet the people victory parade ” was carnival-like as Rivers people sang popular Wike campaign songs as his motorcade drove by. 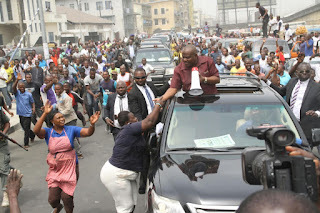 Governor Wike who drove in an open roof Sports Utility Vehicle waived and shook hands with residents, thanking them via the use of a megaphone. The governor told the people of the state that he will remain committed to their welfare all through his administration. He said that his administration will deliver on all development programmes promised the people. According to him, the state will be the centre of attraction in this dispensation because of the successes that his administration will record. 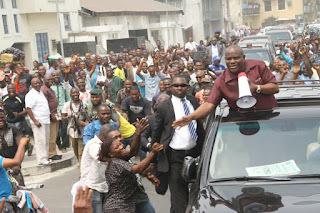 “I wholeheartedly thank the people of Rivers State for their votes, support and prayers all through this process. We are building a new Rivers State that will benefit all our people. “You have played your part in this social contract. It is now my turn to continue to deliver. You have already witnessed unprecedented development, but that is just the beginning of our success story. This administration will make Rivers State the reference point of development projects in the country. I remain eternally grateful to you “. A statement by Simeon Nwakaudu, Special Assistant to the Rivers State Governor on Electronic Media noted that Governor Wike was accompanied on the tour by Senator George Sekibo, Senatorial Candidate for PDP in Rivers East Senatorial District, Former Deputy Speaker of the House of Representatives, Rt. Hon Austin Opara and Rivers State PDP chairman, Bro Felix Obuah. 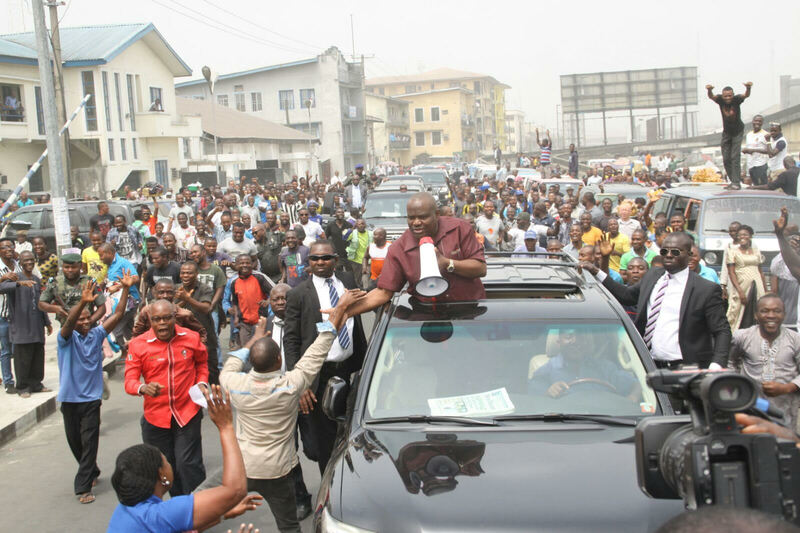 Governor Wike’s meet the people victory parade took him to Borikiri and Diobu in Port Harcourt City. He also traversed Rumuokwuta and Rumuola in Obio/Akpor Local Government Area. 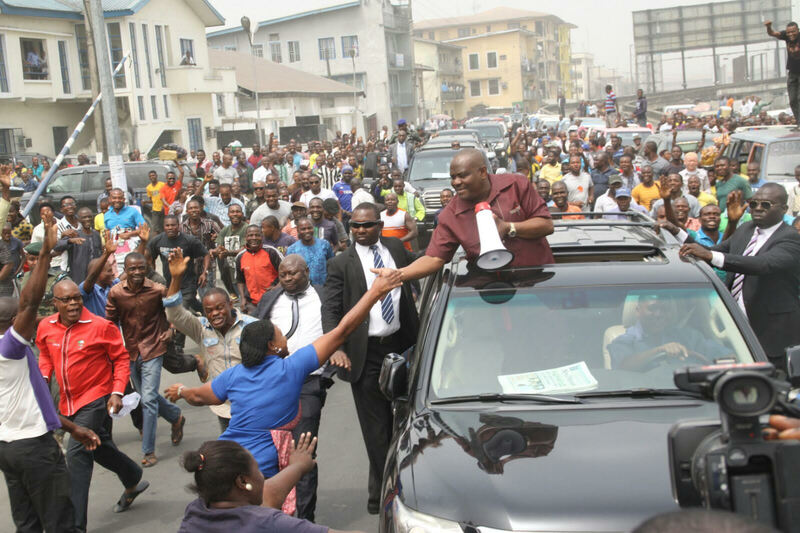 The governor appealed to the people of Rivers State to support all PDP candidates during the forthcoming rerun state and national Assembly elections.